TWM brings Building No 3, Parkmore West Industrial Estate, to the market. 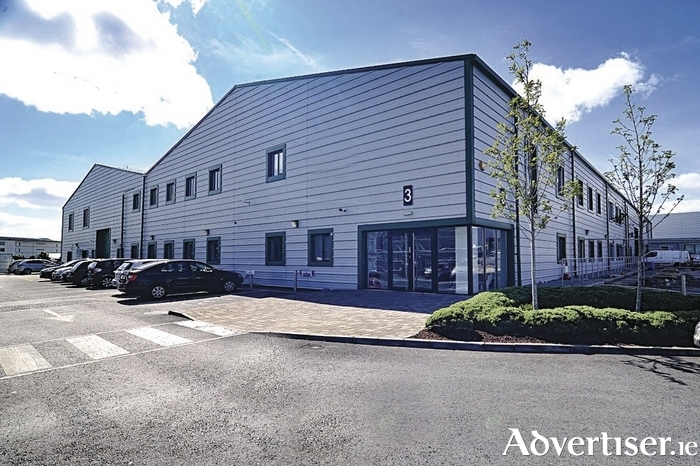 This modern commercial building is fully let to Creganna Medical Devices Ltd, on a full repairing and insuring lease with an annual rent of €431,365 and over 24 years unexpired without any future break options. The 34 year, 11 month, lease commenced in March 2007 and benefits from upwards only rent reviews. Building No 3 is a stand-alone commercial building which is well located on the very successful IDA estate. This impressive building has been fitted out internally to include office accommodation, laboratory space, and warehouse facilities suitable to the tenant's needs. The total area extends to approximately 74,000sq ft to include a tenant extension to the first floor of approximately 28,000sq ft. The property benefits from direct access to the Dublin, Limerick, Cork, and Sligo road networks, and is within close proximity of Galway city. Parkmore as a commercial location is home to significant national and international occupiers including EA Games, Medtronic, Celestica, Merit Medical, Advent Medical, Rehab Recycling, Fidelity, Alere, and SAP. Creganna Medical is ranked among the top 10 global companies in the medical device outsourcing industry. Creganna Medical Group was acquired by TE Connectivity in April 2016. TE Connectivity is listed on the New York Stock Exchange and is a global technology leader. At year-end 2016, the company had revenues of $12.2 billion. TWM is seeking in excess of €4.7 million which reflects an attractive net initial yield of 8.79 per cent (assuming standard purchaser costs of 4.46 per cent ). Sarah Winters at TWM is expecting good interest in the property due to the long secure lease term to an excellent tenant covenant. Ms Winters commented that with the benefit of upwards only rent reviews and long term income she expects to have good interest from a wide range of purchasers.